Dayco makes a point of remaining up to date with the quick-moving market. In light of this, the company has recently introduced auxiliary belt tensioners and water pump friction wheel drives into the aftermarket. Although factors are largely led by the day-to-day requirements of their workshop customers, it is important that they keep their eye on the developments in vehicle technology that will not only affect the market, but also provide them with the opportunities to set themselves apart from the competition. As a demonstration of how the market is shifting to include new products developed to tackle the challenges of ever-changing engine design, earlier this year, Dayco introduced to its aftermarket programme the auxiliary belt tensioner and water pump friction wheel drive for the PRINCE BMW PSA engine (number on UK roads: 318,147), used in models such as Mini, BMW 1-3 series, Citroen C3-C4, PSA 208-3008. One of the most interesting characteristics of this engine is the system that controls the water pump, which is activated only when the temperature of the engine needs to be controlled. 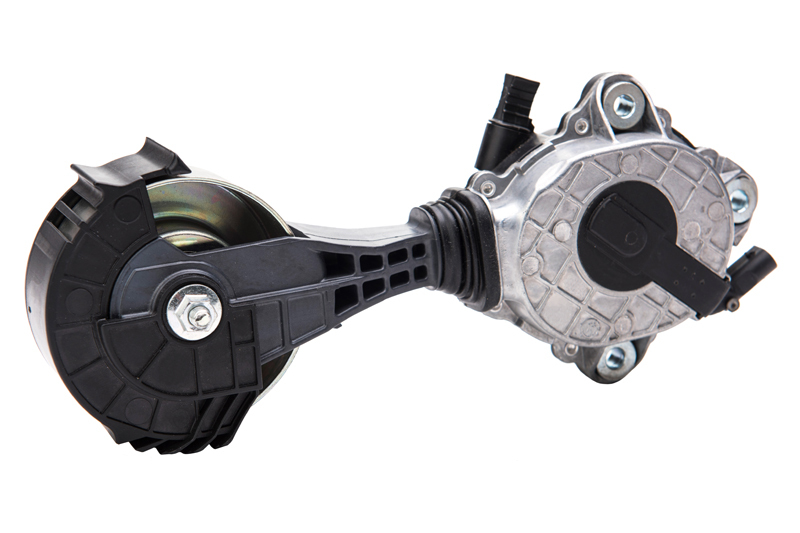 Dayco designed, developed and manufactured both the unique single-arm torsion bar tensioner, which replaces the traditional spiral spring tensioner on the auxiliary drive system, and the motorised ‘switchable’ friction pulley, that actuates the water pump. 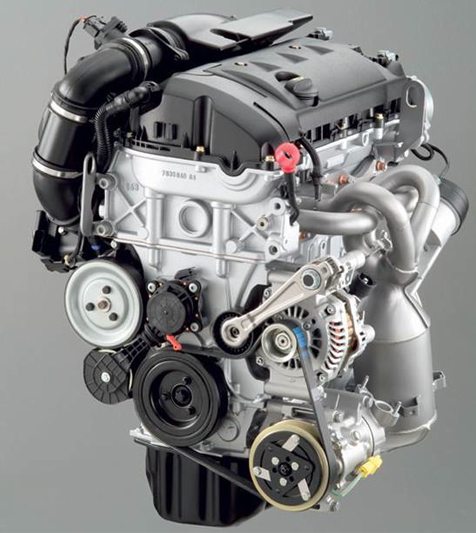 At start up, or whenever the engine is operating below its optimal temperature, the water pump is disengaged, which decreases the engine’s warm up time, reduces its overall emissions and improves fuel consumption. However, once the engine reaches a redetermined temperature, the friction wheel is activated, and the water pump engages, therefore allowing the engine to optimise its thermal management. To prevent excessive acceleration forces on the bearing during off/on operations, the friction wheel is in constant contact with the crankshaft pulley. However, with the use of an electric motor and small planetary reducer, which works in conjunction with a multifunction control system, the pulley’s radial movement is altered, and the rotating friction wheel comes into contact with the surface of the water pump pulley and thus, the water pump is brought into operation. Due to the confined space around these components, a traditional auxiliary belt tensioner could not be employed, which therefore required Dayco to design another solution, this time in the form of the single arm torsion bar tensioner for the auxiliary drive system. In order to help independents compete with the franchised dealer and carry out a full and complete repair, Dayco now offers a friction wheel kit, which contains all the components necessary for each particular model. The kit also includes the auxiliary belt, which allows them to replace this crucial element at the same time. Bearing in mind that the friction wheel runs against the back of the belt and so undergoes the same level of wear, to follow best practice, factors should encourage their workshop customers to make sure they replace the belt during the process. One final note for factors is that early examples of vehicles fitted with the friction wheel require technicians to install an additional electrical connector, which is only available from BMW. For more information regarding the power transmission products in the Dayco range, click here.